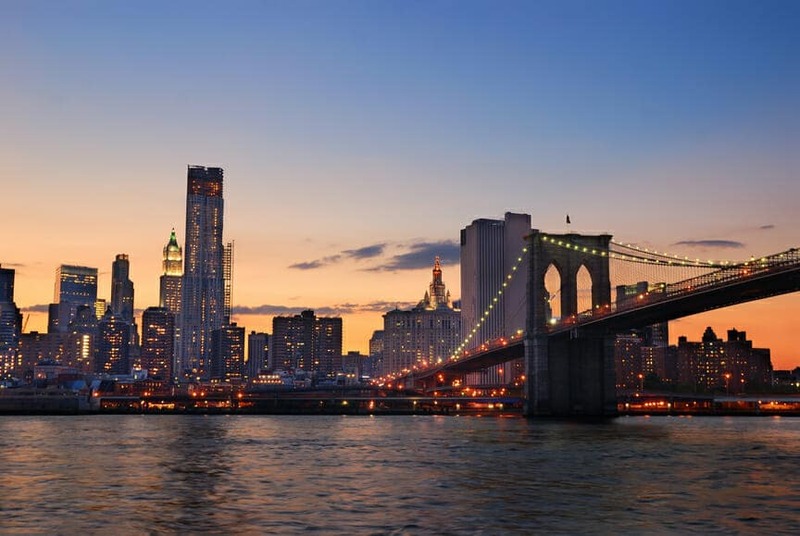 If you’re pressed for time, this whirlwind 1-Day Big Apple tour gets you around to some of NYC’s most famous sights – including the breathtaking 9/11 Memorial and the151-foot Statue of Liberty, which you will see from aboard the Staten Island Ferry as it delivers you across busy New York Harbor. You’ll see China Town, Wall Street, Ground Zero, the Empire State Building and more! Wouldn’t you love to see the New York Harbor up close? The Staten Island Ferry is one of the remaining vestiges of the NYC’s original ferry system that transported passengers between Manhattan and its future boroughs long before any bridges were built. Today, it continues to serve commuters traveling between Staten Island and Lower Manhattan; student groups visiting New York City's historic working waterfront, hoping to grab a pic of the Statue of Liberty will truly enjoy the free ride across the Harbor. Your students will forever remember their visit to this stunning memorial, created to observe the terrorist attack on the World Trade Center September 11, 2001 and the devastating bombing on February 26, 1993. The National September 11 Memorial Museum proudly serves as our country's principal institution concerned with exploring the implications of the events of 9/11, documenting the untold impact of those tragic events, exploring 9/11's continuing significance and honoring the memory of those killed in the senseless terrorist attacks of September 11, 2001 and the 1993 World Trade Center bombing with a series of moving and relevant exhibitions. Portraits of more than 3000 9/11 victims are displayed on site and a portion of the “Survivors’ Stairs”- the stairwell by which hundreds escaped with their lives after the attacks - as well as remnants of the twin towers’ structural columns remain, sobering reminders of this horrific act. Never forget! This iconic center of business in NYC, the fourth largest business district in the Nation and the place American history started deserves a place on every student group’s Big Apple must-see list! It’s where the first US Congress assembled and shaped the Bill of Rights and where our first President George Washington was first sworn into office. It’s the home of Wall Street and the New York Stock Exchange, it’s where one of the most famous bridges stands, and it is here, sadly, where the unspeakable 9/11 tragedy occurred, and where a historic rebirth is underway. Walking tours depart from the Charging Bull Statue, cover approximately one mile’s distance and generally take around 2 hours to complete. You’ll see Wall Street, Trinity Church, Ground Zero, Chinatown and a host of other landmark Lower Manhattan attractions.